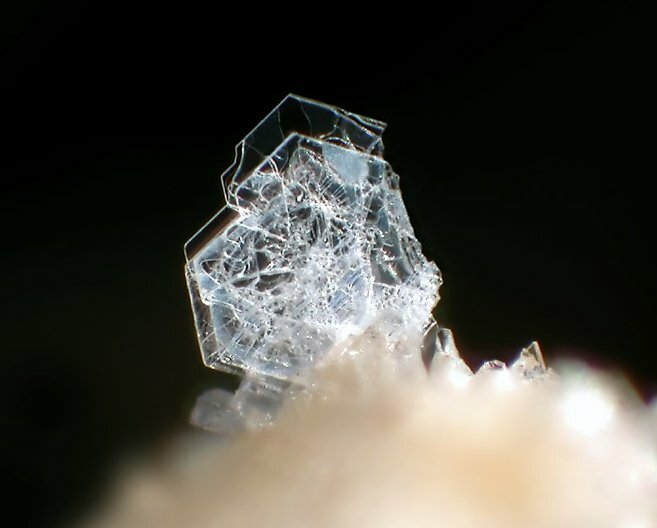 The mineral tridymite is a very rare polymorph of the mineral quartz. It is grouped with silica and tectosilicates. Tridymite is knowns for its unusual crystals which are small and appear as thin tabular plates. They usually form small growths of two or three thin individuals, forming unusual and distinctive twins or trillings. Tridymite can occur as small grains as well as complex icicle-like formations. Tridymite crystallizes at low pressure and high temperatures in excess of 1,472 degree F. As far as we know, it is only associated with temperatures and conditions seen in silicic volcanism – volcanoes with magma containing a large proportion of silica. For the past few years, the Curiosity rover has been exploring a crater on Mars. Just last year in 2015, the rover was exploring an area called Marias Pass. The rover drilled into the surface of Mars and found something entirely unexpected, the tridymite mineral. The rover used its laser-firing instrument to examine compositions of samples using the Chemistry and Camera (ChemCam). An analysis of this find was recently published in the Proceedings of the National Academy of Science can change our entire understanding of Mars’ history. The volcanic processes seen in silicic volcanism occur as a result of plate tectonics and flowing water on Earth, neither of which are found on Mars. It is now a possibility that Mars had much more water on its surface than previously thought and it was a much more geologically active planet. The scientific community will now be involved in studies that analyze ways on how tridymite can form on a geological level in a basaltic environment with lower temperatures. As a hobby, mineral collecting is over 500 years old, evolving from he era of gentlemen naturalists to the present era dominated by ineral quality. The mineral collecting in 2016 vastly differs from the first golden age of mineral collecting that marked the 50s and 60s, when ‘rock hounding’ became an immensely popular past time. But today, the quality of minerals is considered of supreme importance, a factor that can never be neglected. An extraordinary number of mineral discoveries have been made since 1980; Merelan Tanzanite, Red Cloud Wulfenite and the incredible Aquamarine crystals to name a few. With more than 3,000 minerals existing in nature, it is not possible to collect them all! Many collectors follow the collection method of specialized collection. So, if you are a beginner, make sure you choose a category of minerals (based on locality, properties, crystal group or variances) to collect and be a specialized collector. And if you are already a specialized collector, then you are on the right track. Bravo! Organizing and displaying your collection is of paramount significance. You can go for thumbnail and micromount specimens, about 1 inch or less in size. As tiny crystals have almost perfect crystallization, you can easily view the crystal through microscope. Such small specimens are kept in plastic boxes, are affordable and take up less space. Irrespective of the size, you can store your minerals in well-lit glass viewing cabinets, organized drawers or specialized cardboard boxes. Always label your rocks with an index card, mentioning the type and locality of the mineral. Well, you have to admit, everyone comes across dead ends. There might be a particular rare mineral that you are looking for without any luck so far. Our advice? Acquire the services of mineral dealerships that not only provide rare rocks from all over the world but also custom services such as display cases, curatorial services, mineral photography, provenance research, etc. Your collection will definitely reach new heights! Graphite, the kind you find in your pencil, is made from pure carbon. It has been used in its natural form as far back as the Neolithic Age. Diamonds are also made from carbon, a highly organized carbon which is less stable than graphite. Diamonds are known as one of the hardest minerals because of the strong bonding between its atoms. Other than diamond and graphite, other polymorphs of carbon include lonsdalite and chaoite. At the end of last year however, a new member has joined this carbon family : the Q-carbon. Researchers at North Carolina State University have made a new form of carbon, which is also the third solid state of carbon. This new carbon is believed to exist naturally in the core of planets, including our own. Researchers are very excited because they have also found success in synthesizing single crystals of Q-carbon at room temperature and pressure. Natural diamonds form at very high temperatures and pressures deep in the Earth’s mantle and grow over periods from 1 to 3 billion years. The temporarily named Q-carbon has some interesting and new properties. For one, it is ferromagnetic, which neither graphite or diamond are. “Q-carbon’s strength and its willingness to release electrons make it very promising for developing new electronic display technologies,” said lead researcher Jay Narayan. Q-carbon is also harder than diamond and glows brightly when exposed to low levels of energy. It also conducts electricity better than diamond and can be made into microscopic single-crystal objects called nanodots. Narayan is hopeful this cheaper, easier to produce Q-carbon can be used in high-precision medical techniques and other industries. It will take some time to to learn more about Q-carbon and its properties but the future looks promising! One of the reasons we all love Star Trek, is because of its amazing ability to combine science with fantasy and its many possibilities. Star Trek has featured topics like astronomy, biology, and spaceship technology, but also a ton of geology. The crew of the Enterprise visits mining colonies in many of its episodes and many of their missions include searching for valuable crystals and minerals as well as using raw minerals for fuel. In the Star Trek series, over 125 minerals are mentioned, with 23 being real minerals found here on Earth. One of the most famous of these minerals is lithium, on later episodes referred to as dilithium crystals, the only material that can be used in matter-antimatter reactors on board Federation spaceships. The lithium crystal was the first mineral to be mentioned on Star Trek and the prop used on the show was an actual quartz crystal. In the episode “Obsession”, Spock analyzes a rock made of fictional metal tritanium, using the geological tricorder. This mineral is said to be 21.4 times as hard as a diamond and becomes useful in constructing an indestructible spaceship hull. The fictional mineral pergium is being mined in the episode “The Devil in the Dark,” It is given the atomic number 112 and symbol Pe. In this episode, Kirk and Spock beam down to the planet Janus IV to investigate the murder of over 50 miners deep in the planet’s bedrock. Pergium is considered to be a valuable energy source and the minors cannot just up and vacate the planet. Kirk and Spock discover that a subterranean, but intelligent silicon based life form is at the root of these attacks because they feel the minors are infringing in their territory. An agreement is eventually reached whereby the Horta will drill through the rock so long as the minors do not interfere with them. Both imaginary and real minerals are mentioned in the Star Trek world, with some of these minerals being involved in stories that sound quite probable while others that are completely far fetched. Many of the chemical and physical aspects of certain minerals mentioned in Star Trek defy science, yet that is an essential element of science fiction and fantasy. 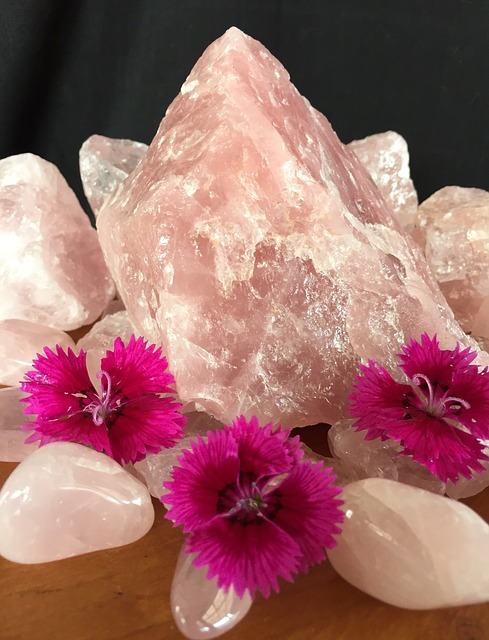 Other fictitious mineral mentioned include the benomite crystal, a very rare mineral used to create a quantum slipstream, as well as many types of fictional gemstones such as the maraji crystal, the rigelian flame gem, and the separ gemstone. Real minerals mentioned on Star Trek include aragonite, which made up the cave walls on the planet Terra Nova, calcite, coal, diamond, emerald, granite, gold, iridium, limestone, platinum, quartz, ruby, and even salt. Star Trek is not only inspirational, but the show and its films that followed pose interesting scientific and ethical questions. It gives a hopeful view for the future when it comes to science, technology, and the exploration of space in the final frontier. Not your most active social environment or easy to get to but, for the die-hard mineral lover, mines are your best option. There, you will find minerals, ore, gemstones and precious metals. Mines are ‘gems’ (pun intentional) that contain large amounts of these materials; however, access to them is not easy. in the earlier years, it was straightforward to obtain permission to enter a mine and obtain minerals. Collectors would enter the mining areas and extract the minerals without interfering with the workers or collect on weekends. This is rarely possible today, due to insurance liabilities and other bureaucracies. Many famous localities that have been abandoned are also difficult to access, due to trespassing laws. Thus, the only way to collect a mineral is to either have connections to a mine operator or get permission from a property owner. Another possibility is to collect with a mineral group or club, which works on getting the permits and permission to enter active quarries where an individual would not be permitted. As mentioned in the Difference (of rocks and minerals) article, minerals are naturally occurring inorganic solids. 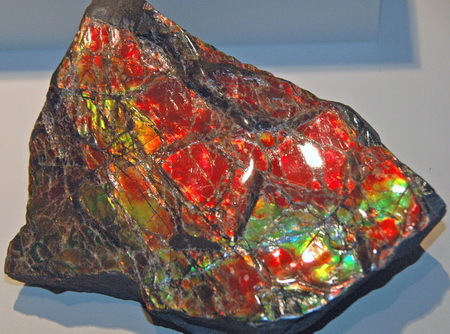 There are around four thousand different minerals in the world. Each mineral is defined by a specific chemical composition and crystalline structure. To begin with, we have to define the atom. An atom is the smallest unit of a chemical element, or to put it another way, atoms make up chemical elements. For example, the atom Aluminium, noted by the symbol AI makes up the element called Aluminum. We cannot see the Aluminum atom, but put billions of them together and you will be able to see the element; however, so small that you would need a microscope to see it. The more Aluminum atoms that are assembled, the more of the metal is visible. Of course, it would take trillions of assembled AI atoms for us to be able to visibly see even a small piece of aluminum. Some minerals are made up of just one chemical element, which means they contain only one type of atom. Copper is made up of only copper atoms, but most minerals are identified as chemical compounds, as they contain atoms from more than one chemical element;. The molecules are the entities that contain the chemical compounds. Another example is sodium chloride, more commonly known as salt. This compound contains the the molecules of sodium and chloride atoms, or more precisely, one molecule contains one atom of sodium and one atom of chloride. Now, there is one more characteristic that makes a mineral what it is and that is – they have a specific chemical composition. That means that they are in an organized ‘atomic structure of specific patterns to form a crystal. And it this is how a crystal is formed; hence, the beautiful looking entities that have a specific molecular structure of more than one atomic element brings us the mineral. In the Breaking Bad series, Hank Schrader (Dean Morris) was a FDA detective, who on the side collected minerals, but these elements were (intentionally) mistaken for rocks throughout the show. So let’s get the record straight. Minerals are naturally occurring compounds that are of a crystalline structure formed by geological processes. They contain a unique chemical structure and physical properties. Minerals are inorganic, meaning that they have not originated from living organisms, with respect to organic compounds that do originate from living organisms. Coal is an example of an organic material. Rocks on the other hand are from organic compounds. They are solid, stony elements, that can be composed of a combination of minerals or other organic compounds. Another way of putting it is a mineral is a solid formation that occurs naturally in the earth, while a rock is a solid combination of more than one mineral formations which is also occurring naturally. An example of a mineral is quartz and feldspars, but if you combine them together, they become a rock, namely, granite. Another example is limestone, which is a rock composed almost entirely of the mineral calcite. See more here about the composition of minerals.